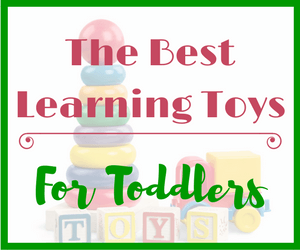 What Are The Best Learning Toys For Kids? 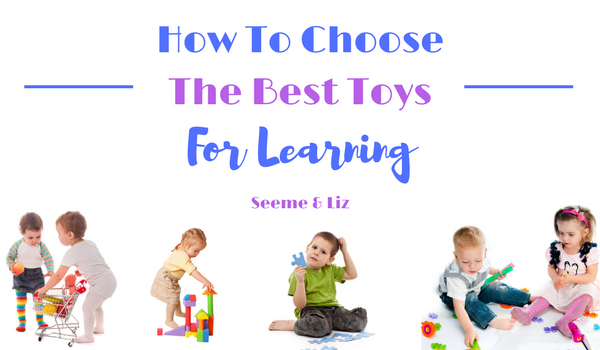 Seeme & Liz > What Are The Best Learning Toys For Kids? With so many toys to choose from these days it really makes it difficult to narrow down the best learning toys for kids. Keep in mind that just because a toy is labeled as “educational” or a “learning toy” does not necessarily make it a good toy to purchase for your children. My goal with Seeme & Liz is to help parents, caregivers and educators find toys that promote language development and learning in general. If a toy for a baby claims to teach colors, numbers, letters and more, I would strongly suggest staying away from it. You can read more about my thoughts on this here. Or, if you do purchase this toy, know that it will not turn your child into a genius. 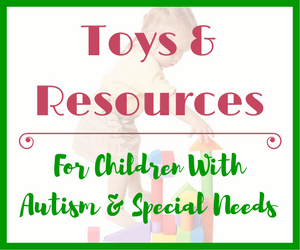 The toys that I recommend on Seeme & Liz are ones that I have personally used while working as a Speech-Language Pathologist or have in my own home. Or they are toys that colleagues have highly recommended. 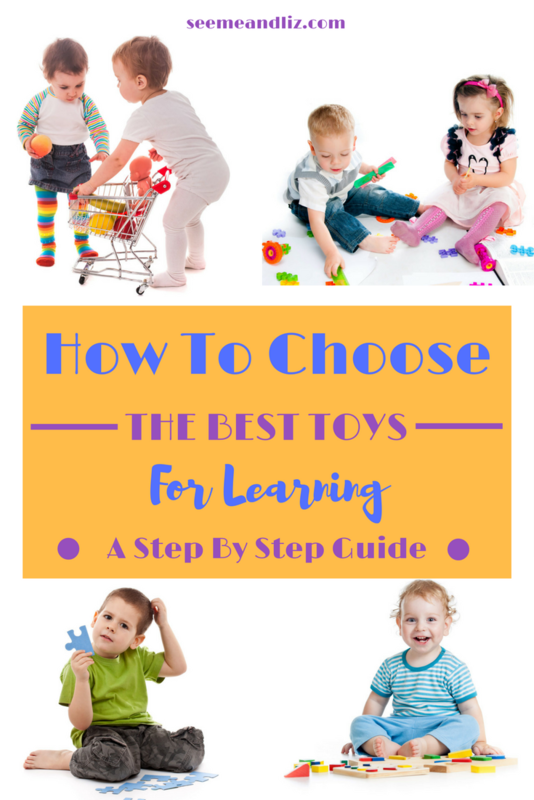 This guide is meant for toys for children between the ages of 4 and 5 or younger. Not every point needs to be met for every toy. But try to make sure the toy you are selecting for your little one meets some of these criteria. Open ended toys are toys that can be used in a variety of different ways. A child is able to use his imagination and creativity to come up with unique play scenarios each and every time. Some examples of open ended toys are play kitchens, play houses, blocks and dolls, just to name a few. Pop up toys on the other hand would be an example of cause and effect toys. These toys are not open ended as the end result is always the same. For example, you can push a button and something happens; repeatedly pressing the same button results in the same action. Keep in mind, cause and effect toys should not be discounted. 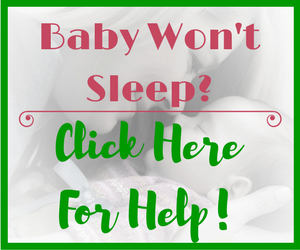 They are necessary for early development and I often recommend them for the 18 month and under age group. Puzzles are an example of a toy which can fall into both categories. There really is only so much you can do with a puzzle at first glance. However, I actually think puzzles are great toys! Yes, the pieces will only fit into certain spots and nothing will change that. But first puzzles (the kind where you place the piece into the matching cutout) are great for teaching vocabulary. You can also use the pieces to tell stories. Puzzles are also great for hand eye coordination and fine motor skills. I could go on and on, but you get the idea. If the toy can be used in a variety of different ways then you can always find new words to introduce to your child. How many new words you can introduce to your child will depend on your child’s age. This is especially true for toys aimed at children who are not yet in school (or at the age where they would be attending school if they are home schooled). The toys I am referring to here always require batteries and have lots of buttons to push to hear counting, the alphabet, color words, etc. 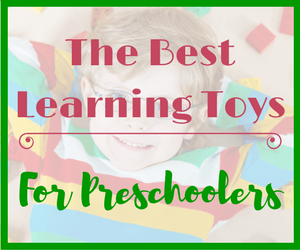 These toys teach memorization and not much else. A child needs to play independently and with other children and adults in order to learn. You can count and sing the alphabet song with your child, but don’t rely on a toy to do the teaching. I like to find toys that my children can have for several years. This way you aren’t spending all of your money buying more and more toys that just end up collecting dust. I try to find toys that can be kept around for at least 2 or more years. Of course, this won’t always be the case but whenever possible try to keep this in mind when looking for toys. One toy that fits this point is a Kids Play Kitchen. A toy kitchen is the kind of toy you will have around anywhere from 2 to 5+ years. My kids have been playing with their kitchen set since my daughter was 2. She is now 10 and it still gets played with fairly regularly. Simple toys are much better for learning over high tech toys, especially for young children. As I mentioned above, a toy that claims to teach a baby or toddler academic skills is too good to be true. And, why exactly would you need your baby to know how to count, read, identify colors, etc? There is plenty of time for that. Let your baby be a baby! This is more applicable to older children and is an important point if you want the toy to get used. If you know your child loves to build, then find toys that will promote building. If your child enjoys playing house and cooking, then find toys where this skill can be enhanced. If you aren’t sure what your child may like, give a variety of toys a try. My son loves pushing his superhero figurines around in a stroller! Simply because a toy costs a lot does not necessarily mean that it is better than a less expensive toy. A toy may cost more because of the brand it is. Or it may be made of higher quality materials such as wood and/or eco friendly paint. Plastic toys tend to have a lower price point. If you aren’t concerned with the brand name or materials used then you can find many excellent toys to fit your budget. The toys that I recommend will have varying price points. 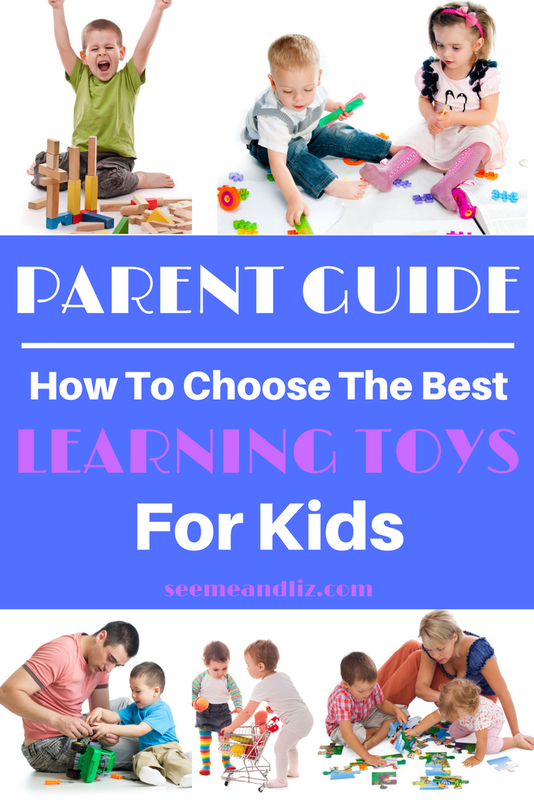 The Best Learning Toys For Kids Can Be Found At Seeme & Liz! Again, just to reiterate, when I discuss learning toys I am not referring to toys that will help with academic skills specifically. This is why I am not referring to these toys as “educational”. The push for focusing on academic skills in young children is proving to be detrimental in the long run. For more information please read Why There’s More To Learning Than ABC’s and 123’s. To find toys in your child’s age range, hover your mouse over the “play based toy recommendations” tab in the main menu and you will see a drop down menu with different age groups. Select the age group that your child fits into and you will find articles/reviews on various different toys and why I am recommending them. Along with each recommendation, I will also provide suggestions for how you can interact with your child in order to promote language development and learning. From time to time I may review/discuss a new toy that is gaining in popularity. I will share my thoughts on this toy and whether or not I think it is a good toy from a language development and learning perspective. If you have any suggestions for toys that you feel I should include on this site, please let me know. It really is a blessing to be a child these days. So much choice and variation. Sometimes it just boggles the mind to find which toy is suitable for which age. I love toys that are open-ended as you have suggested to encourage creativity and learning. Lego is a favourite in our house. 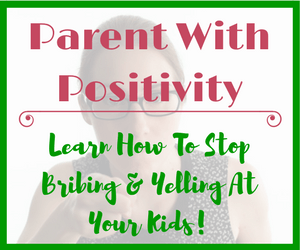 I think your site is very encouraging and inspiring for any parent and caregiver. All the best. You’re right Teresa, the choice and variation in kids toys is enormous. 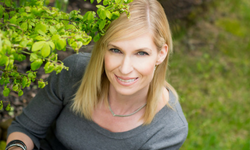 Which can make it overwhelming for parents to decide how to chose between them all. I really want parents to know that for young children a large amount of toys is not necessary (it’s also not necessary for older children). The toys I recommend are all simple, they don’t cost an arm and a leg, they aren’t flashy and most of all they don’t aim to teach academic skills with the push of a button. I wish I would have had some toys like this when I was a child. These are really cool. Friends of mine bought this play kitchen for their daughters and I’ve seen it featured all over TV. This is such an amazing idea from the designers and what an awesome way of teaching them a vital household task? I like the ideas you have here. Play kitchens are pretty cool toys! Kids like to mimic their parents so it’s quite interesting to watch children playing at a pretend kitchen. I’ve never heard the term ‘open ended play’, but I love it and I realized that I love it because these are exactly the kinds of toys that we get for our children; ones that allow a child to use their imagination and creativity. When a child uses their imagination and creativity, it helps develop their motor skills and social + emotional development. I love it when I hear our daughter create stories using her toys. Thanks for your comment! Like you said when children are playing creatively with open ended toys they will naturally learn new skills. This is how children learn best. While some think the best learning toys for kids are ones that teach academic skills, I strongly believe (as well as many other child development professionals) this couldn’t be further from the truth. Young kids will flourish if they have a nurturing environment where they are able to play freely without any stress of “learning”.